In professional sports, it’s not uncommon to see one trade or signing begin a domino affect leading to several other moves in short succession. After a draft day bereft of big names on the move around the NHL, it was beginning to look like the rampant rumors surrounding several of the league’s stars were much ado about nothing…until Wednesday afternoon, when Taylor Hall, Shea Weber and P.K. Subban were all dealt in a matter of minutes. And to top it all off, Steven Stamkos, the proverbial biggest fish in the ocean that is free agency, announced he was staying in Tampa. The Lightning just went from (likely) losing their franchise player for nothing in free agency to cementing their presence as an odds-on favorite to take home a cup for the next several years. And lets be honest here, after Steve Yzerman’s less than optimistic comments on the matter at the draft, no one thought Stamkos would be calling Tampa home much longer. But, not only did Yzerman get the deal done, he has his captain in the fold for eight years at a surprisingly affordable $8.5 million per year—much less than Stamkos would’ve been worth on the open market. The Devils, seemingly always in search of offense, got just that when they acquired Taylor Hall from the Oilers for Adam Larsson. Larsson disappointed in his 5 years in the swamps of Jersey, despite showing significant signs of improvement last season, and landing an All-Star like Hall for him is an absolute coup. Hall is never going to be at the top of anyone’s “best of” list of recent overall #1 picks, but he’s still an excellent hockey player with room to grow and speed to burn. Meanwhile, Nashville flipped an old guy for a young guy when they dealt captain and long time stalwart Shea Weber to Montreal for P.K. Subban. Weber, who turns 31 before next season, has lost a step and is coming off of a horrid playoffs where he was on the ice for all five of Nashville’s goals against in an elimination game with San Jose. 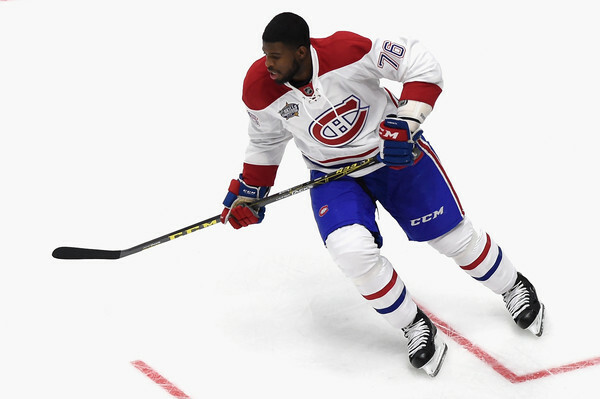 Subban is 27, one of the leagues more marketable and charitable players—which helps in a non-traditional hockey market—and has a much more reasonable contract. Listen, everyone knew Edmonton had to trade a forward, it came down to a simple numbers game. 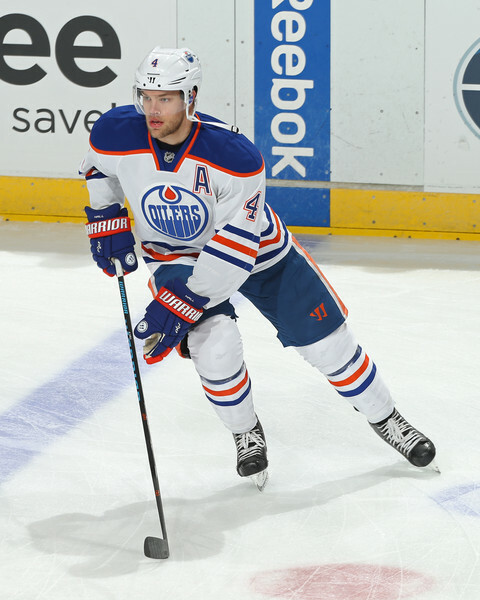 You can’t win without defenseman, and the Oilers are beginning to understand that. But when it was announced that Hall was being dealt for Larsson, the next logical question was “Larsson, and what?” only, the “and what?” never came. Hall is the much more valuable player, and it was more than a bit baffling that Edmonton couldn’t pry a little more from New Jersey in return for a guy who was the face of the franchise pre-Connor McDavid. It’s entirely possible that Edmonton, with their embarrassment of riches up front—and Milan Lucic likely joining the fold in a few days—won’t even care about the loss of Hall in five years, but for the time being, for a franchise that has sputtered through the last decade ineptly, it’s a bad look. A penny for your thoughts, Marc Bergevin? Dealing P.K. Subban for Shea Weber makes so little sense on so many levels it’s literally baffling. Lets say, theoretically, Bergevin thinks The Habs are on the verge of a cup (they’re not) and need something to put them over the top. Even then, acquiring the older, and therefore more experienced, Weber—and his leadership qualities—wouldn’t make much sense because, at face value, Subban is a better player in the here and now. And we haven’t even touched on the contract yet. Weber, who was signed to an offer sheet by the Philadelphia Flyers a few years back which the Predators matched, is signed for another 10 years, meaning he’s on the cap for in excess of $7.8 million through his age 40 season! Even pretending for a moment that Weber hasn’t shown signs of slowing the last few years, that’s a contract that was not destined to end well. Weber can still shoot the puck, and that part of his game figures to age well at least, but Habs’ fans won’t be happy four years from now when they’re paying $7.8 million for a player thats become right handed Sheldon Souray.